Will France’s next president be innovative? France’s election is a test-bed for democratic renewal. However, without a more coherent understanding of how to be more democratic, it is unlikely that the next French president will be truly innovative, writes Stephen Boucher. Why ask a question which answer would seem, at first, obviously negative? Because citizens, in France, as in other Western democracies, expect more than ever two things from their political leaders: greater listening and more effective policies. Innovation summarises both expectations, as there is no innovation without the strong involvement of interested stakeholders and without real added value. So, judging by the ongoing campaign and the candidates’ electoral platforms, do any of the forthcoming putative French presidents offer hope for greater political creativity and innovation? More than you would think. But far from enough. Politics is – or should be – nothing but the art of coming up with innovative solutions to pressing problems. Creativity is indeed the ability to develop timely and new answers that prove to be more effective and efficient than earlier approaches over the long run (not just short term), and thus generate enthusiasm from the relevant audience. Creativity blossoms when different types of expertise are brought together, and when actors collaborate across silos and overcome obstacles, mistakes and divisions. In short, an ideal vision of what a policy process should look like. Yet, unlike so many other fields, from the design industries to innovative companies, politicians do not seem to consider their business through the lens of creativity and innovation. And yet also, they sense from voters’ frustration that they need to demonstrate that they will run things really differently this time round. So they’re trying. “My programme will be yours”! François Fillon, the conservative candidate, boasts that, ahead of his campaign, he consulted with “civil society” and “over 500 experts”. His National Front nemesis insists that she tapped into the knowledge of “collectives” of “several hundred experts”. Clearly, candidates want to show they are open to outside input. Others go further. 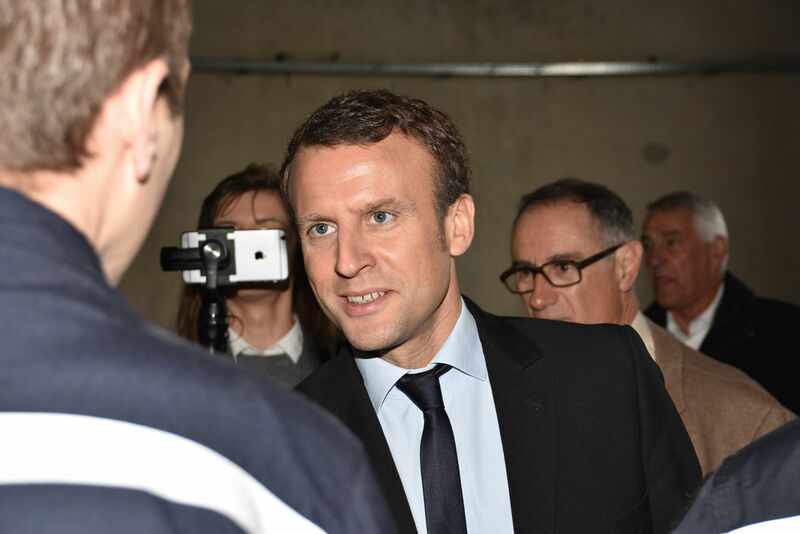 Emmanuel Macron promised early on that “(his) programme will be yours”, before launching 100.000 “conversations”. Jean-Luc Mélenchon, the far-left leader, consulted an equivalent number online. Nevertheless, all the candidates used the same old technique of filtering ideas by committee. Despite the numbers put forward, voters’ input into the parties’ manifestos has therefore not been, in essence, that different from previous elections. As for how the next president will govern, clearly, the candidates also see the need to promise real changes. Some, for instance, Mr Fillon, anticipate a lot of opposition and therefore hope to push through their hardest reforms in the first 100 days. This is the very antithesis of an inclusive and collaborative process. Others announce that they will make the process much more open. Emmanuel Macron, the centrist ex-economics minister under François Hollande, says he will invest far greater resources into impact analyses, give more time for debates ahead of the legislative process, foster the delegation of power to the regions, and allow citizen juries on sensitive matters. Benoit Hamon, the candidate of the outgoing Socialist government, has made government reform a priority. He wants more direct democracy, allowing for instance citizens to introduce amendments to legislative proposals and to block texts. Mr Mélenchon goes further, and in fact wishes to have a whole new constitution. Such proposals are partial answers to citizens’ appetite for greater involvement and more effective government. However, they do not provide a coherent answer to these twin priorities. Imagine for a moment a corporation that is challenged in its very existence by competitors and that decides to put innovation at the heart of its functioning to find a new raison d’être. It will not limit reforms to a few gimmicks to allow employees to file ideas ahead of board meetings or to installing interactive screens in its entrance hall. Becoming truly innovative requires a systemic revamp of processes and ways of working. Placing innovation at the heart of politics means that innovation should be explicitly identified as a priority by governments. In practical terms, this would involve, for instance, appointing a minister seconding the prime minister that is responsible for strategy, future generations and systemic thinking. Unlike the failed experiment of the current Swedish government that sacked Kristina Persson because it did not have the will to overcome siloed thinking, it will need strong backing from the president. Innovative governments will also welcome complexity and resist the trend towards the increasing simplification of debates. In practical terms, this means, for instance, complementing traditional economics analyses with a variety of social science tools and experts and involving a diverse range of experts from different walks of life, deliberately. Finally, it is essential that the methodologies of creativity be taught to future and existing public sector leaders. The civil service and government should see its mission as a catalyst for others’ creativity. For instance, a greater delegation of power away from the centre will not lead to faster and better policies if the central administration does not see its role as facilitating experiments (which no candidate talks about, by the way), evaluating them, and sharing them across cities, regions and ministries. France’s election campaign is a revealing test-bed for democratic renewal. However, without a more coherent and pressing understanding of how to be both more democratic and more effective, it is unlikely that the next French president will be truly innovative. And that is a problem for Europe and beyond, as failure to make our governments more innovative ultimately benefits those waiting in the dark to grow their power base out of people’s frustrations.